Ever wonder what would have happened if Phil Lynott’s kid brother sang on ‘Restless Breed’? If so, or if the previous sentence intrigues you in the least, then have I got a treat for you. 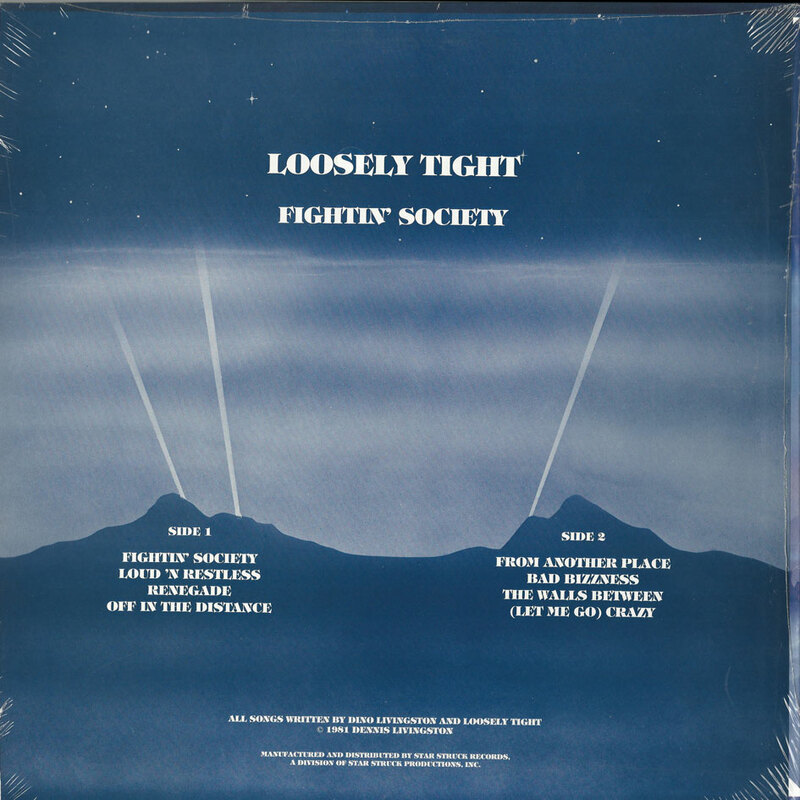 Somewhere out in the distance of Arizona, Loosely Tight recorded their one and only album back in 1981. Like many of their Southwest American contemporaries (see Voltz, Stunn, White Noise, Slayer*, and Icon, who recruited Loosely Tight drummer Pat Dixon after their Schoolboys days), Loosely Tight stuck to the hard rock-metal hybrid style of the early 80s rather than delving into the glammy sounds of California or the heavier rumblings over in Texas. If you want your metal raining blood or you only have an appetite for destruction, these bands aren’t gonna fit the bill. But if you dig stuff like ‘Fire Down Under’ and ‘Black Rose’, then this Tex-Mex scene might interest you. 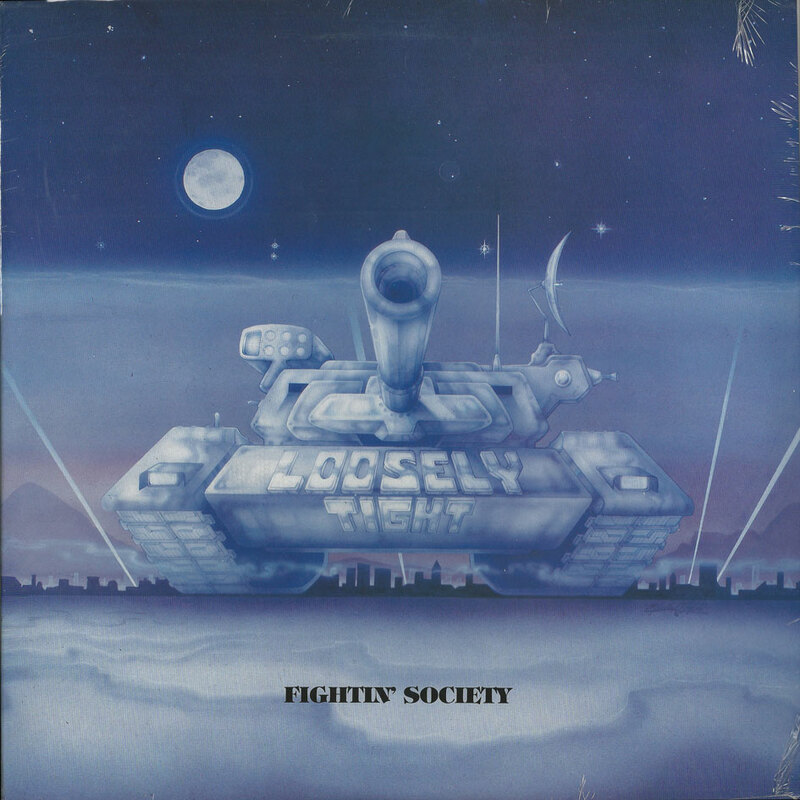 ‘Fighting Society’ is the gem of the scene. The album obviously takes its cues from late 70s-early 80s Thin Lizzy but with a strong dose of Riot mixed in. I’d swear these guys were hooked on ‘Restless Breed’, except that album wasn’t released until the following year. Nevertheless, Loosely Tight managed to excel at that tough, blue collar, streetwise sound that relatively few bands ever master. Songs such as ‘Fighting Society’ and ‘Bad Business’ could easily be mistaken for long-lost ‘Lizzy tunes, and ‘Off in the Distance’ and ‘Renegade’ are such dead-ringers for early 80s Riot that it’s hard to believe Rhett Forrester isn’t the one belting these bad boys out. You also get a few AC/DC style power chords here and there, and UFO fans will hear some inspired melodies too. Besides the excellent, clear, punchy production and the strong musicianship, another thing that makes this album stand out ahead of the pack is that every song has its own vibe, yet they’re all excellent. ‘Off in the Distance’ is a slow, heavy stomper, while ‘From Another Place’ absolutely sizzles, picking up the pace but without being too one-dimensional. The highlight is undoubtedly ‘The Walls Between’. A much softer, quieter song than the rest, but this is no ballad; it is an incredibly well-crafted hard rock classic that deserves to be up there alongside 70s staples such as ‘Smoke on the Water’ and ‘Stairway to Heaven’. Seriously, the song is THAT incredible. The rest of this album could be filled with watered down Triumph worship, and this one song would still make ‘Fighting Society’ a worthwhile purchase. If you think Riot peaked before ‘Thundersteel’ came along or you wish another band worked at telling tales of inner-city vagabonds and back alley Romeos the way Lynott and Co. used to, then I can’t recommend this one highly enough. * No, not the San Antonio one or the famous one. There was indeed a third US outfit working under the name Slayer in the early 1980s. Legendary band from Arizona that put out only this LP that contains a crossover mixture of hard rock/ metal. All songs are fine examples of good hard rock that remind me AC/DC and also bands from NWOBHM. "Off in the distance" and "Fightin' society" are songs not composed every day while "The walls between" is one of the best hard rock songs ever written.!! Don't count on finding a vinyl copy... imagine that that the band has only one copy in its possession.